The Michigan Silverback: "It Was Twenty Years Ago, Todayyy....."
Well, yesterday, actually, but close enough. 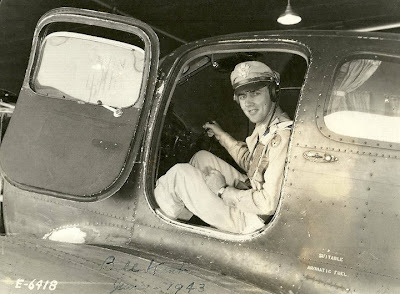 Twenty years since my Dad went to fly with God. You're missed, pal. You're missed. *5% doesn't seem so bad, does it? That's 5% shot down per mission. The chance of surviving to 25 missions and rotation home that first year? Which means the converse, 72%, died or were captured. That's a FAR higher casualty rate than even Iwo Jima.